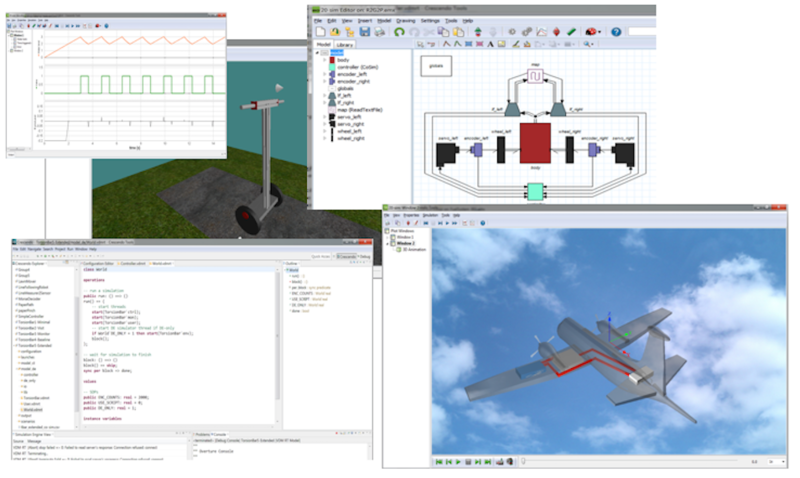 The Crescendo Tool is an open-source tool originally developed in the EU DESTECS (Design Support and Tooling for Embedded Control Software) research project. The focus is on using co-simulation to design and modelling cyber-physical systems. The tool is based on the Overture platform and Controllab’s 20-sim. Co-design and co-modelling in Crescendo is described in the book “Collaborative Design for Embedded Systems”, which can be fetched from Springer’s web site. The work carried out in EU DESTECS is continued in the EU INTO-CPS (INtegrated Tool chain for model-based design of CPSs) research project. The current version is 2.0.x (May 2014) which you can download here. All of the Crescendo is hosted on GitHub, in the @crescendotool organisation account. Everyone is welcome to grab it, fork it, and contribute.